The manufactures of the labeling machine has adopted the latest technology in meeting the increasing demand and ensure that the client needs are taken care of and safety of the product is guaranteed. Types and Applications of Different Pharmaceutical Machinery. By eradicating the bulk in packaging the pharmaceuticals industries need to use labeling machines to solve this menace in the industries. The labeling machine has incorporated the newest technologies and made several machines that are effective for pharmaceutical industrial application, sizes, shapes of different containers and vessels. 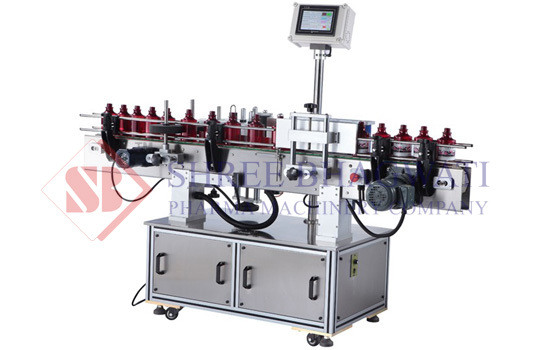 They are various different types of the pharmaceutical machinery which includes: Vial Sticker Labeling Machine, Bottle Sticker Labeling Machine, Ampoules Sticker Labeling Machine, Single Side Sticker Labeling / Labeler Machine, Double Side (Front & Back) Labeling Machine, Top Labeling Machine and Shrink Sleeve Applicator among many others. Benefits of Using Pharmaceuticals Labeling Machinery in Packaging Industries. They helps in reducing and ending human contamination and the pharmaceuticals product keep them healthy for consumption. Labeling machinery are appropriates in labeling round containers, round bottles, and uneven containers. They are available and suitable for both large scale and small scale pharmaceuticals industries. The labeling machines are distinguished on the basis of optimization, types of labels, position of labels. They offer a variety of option for the packing industries to consider on where and how they want their product to appear on the eyes of consumers. The labeling machine improves the quality and rate of the product due to embracement of the latest technologies leading to profit maximization. Why Need to Use Bulk Production Labeling Machinery in Pharmaceutical Industries? Packing pharmaceuticals products is very important to use vials and ampoules machine in order for the consumer to see and read the expiry date of the products. 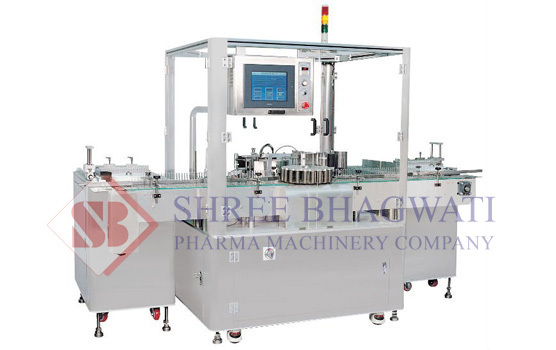 Labeling machinery in pharmaceuticals industries helps in saving time as they are accurate and fast. They consumes smaller quantity of energy hence helps in maximizing return as well as increasing production. They adds attractiveness and eye catching to the packed products and this help in increasing profit as more client are attracted to purchase the products. For hygiene, professional, and clean with work done with very high precision. Current Trends and the Future Prospective of Pharmaceutical Machinery. The pharmaceutical machinery is adopting the current trend in the market in ensuring their product value and qualities are guaranteed. They embrace and follow the international standards and regulations in completing the consumer’s satisfaction. The manufactures have moved towards computerization in order to get quality. The pharmaceuticals machinery industries have seek for ISO approvals and are steadily expanding in meeting the increasing global demand. In future the industries are employing professional and researchers in studying the global market demand and design quality machines that will meet all client demand. Worldwide Demand for Pharmaceutical Machinery. The growth in the demand for pharmaceuticals machinery continued to increase over the years and is expected to rise at 4.6% annually according to the new study. The increasing need for the pharmaceutical products in the market is overwhelming. The increase in the demand has resulted to improvement and embracement of creativeness and innovativeness by the manufactures to meets the rising demand in the market. For every product to be flourishing in the market, the most important factors are the outward show of its package. Pharmaceutical labeling machines such as: Vial Sticker Labeling Machine, Bottle Sticker Labeling Machine, Ampoules Sticker Labeling Machine and Single Side Sticker Labeling / Labeler Machine among many others. They play are very vital role in ensuring the pharmaceuticals product are protected from contaminations, germs, damages and are presentable with easy recognition as they helps consumers to know the product specifications.